My understanding is that federal land that is designated “monument status” is closed to extraction of natural resources. Reducing federal land protection with monument designation of this scale (two million acres) is abominable. Is it oil, minerals or a combination of that and other uses (housing, golf courses) that propel this change? The resignation of the National Parks Panel brings public awareness to the exploitation of natural resources. I read the other day in The New York Times that some political awareness group of the left or center-left has a group of 180,000 or so individuals that will go to a protest site to demonstrate. The protests were of issues NOT dealing with land use, monuments, federal land protection. I would sign on to protest issues dealing with saving forests, rivers, land from corporate exploitation. I would pay my own way anywhere in the United States to protest the exploitation as demonstrated in this article. The advisory panel has shown light on the problem with the Trump administration’s land policies. Sitting Bull often walked barefoot on the earth at dawn in the morning. Last September I attended a water association meeting in Penasco, New Mexico. The acequia photographed above is one of several thousand water ditches and collateral offshoots in New Mexico. This ditch alongside the road to Dixon, New Mexico, is not a part of the water association at Penasco although the two towns are close together and divert off of the Embudo Watershed. The above photograph on the cover of the magazine, Climbing, I have kept since a friend of mine, Mark Garlin, gave me the magazine in 1972. Norman Clyde died later that year, December, 1972, at the age of 87. 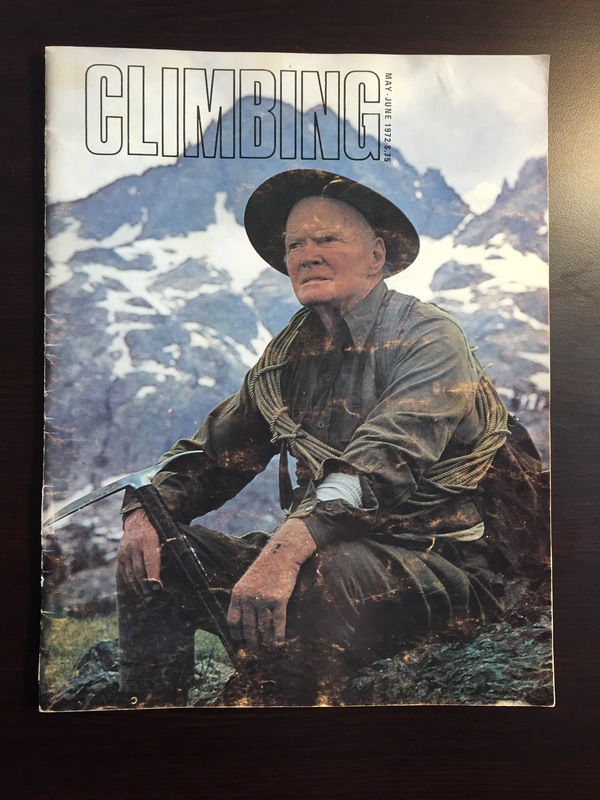 I have kept the magazine at my ready shelf since that time because of my love of climbing mountains and the presence of strength and fortitude in Clyde’s face and posture. Despite age, he has tools of his love and trade beside him: rope, ice axe, and rucksack. When I have climbed mountains by way of trail and path, not rope nor ice axe, I have met young and old, educated and not, rich and poor, and men and women who love the outdoors and the challenge of a good climb. Without fail, those that are on the trail take an interest in the columbine and rushing waters and all the conifers in high country. Oh, the trees: ponderosa pine, spruce, juniper, pinion. There is learning in the austere mountain trail that is both external and internal. In the external, one sees and usually identifies geological formations, the topography, the magpies and jays, and the trees. Internally, the lessons run deep and are formative, even in old age. Norman Clyde in the photograph above was in his eighties. The perseverance in his climbing is found off the slopes in building strawbale compounds (as my good friend, Jimmy Henley, was doing at the time of his death in his seventies), performing the arts, climbing trees as a trimmer, and pursuing goals in getting a degree. If ever you think you are too old, think of Norman Clyde on the front cover, the mountains behind and the tools of his adventure about him. Clyde will climb until his body fails. As I wrote, I keep Clyde’s photograph on my ready shelf. If he can climb at his age, I can hike and build fence and mountaineer at my age. As I climb in the high country, three questions arise: What am I doing here? What should I do? And, how do I know? The answers are simple and complex. I am hiking. I am hiking. I know I am hiking in this moment at my pace, walking among the trees, hearing birds, seeing and hearing rushing waters, touching ground, seeing the sky as I meet others on the trail. Those are my three answers. In a sense, those are everyone’s answers. Until our bodies fail. Norman Clyde, front cover, Norma Clyde, front cover…. Photograph of Norman Clyde by David Hiser. Quote in first paragraph from Wikipedia, “Norman Clyde,” accessed Aug. 23, 2016. The three questions in the last paragraph are derivative from my course in philosophy at University of Texas at Austin, 1961. On the Philosophy Department’s website page (at least a couple of years ago) those questions were posed in a slightly different way. I climbed with Mark Garlin, my friend who gave me the magazine. He lectured at the Air Force Academy in the 1970s on climbing and survival in the mountains. Central Texas in the last week had rain. 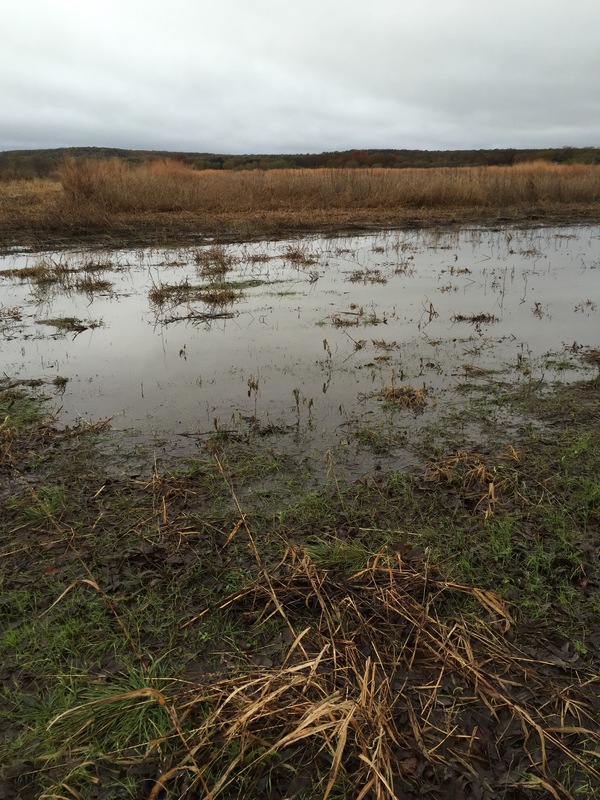 My Far Field (shown in photograph above) shows a marshy area on the south section of the field. The rains this week have broken the record for the wettest November in the Fort Worth area. I walked and viewed the marshy area yesterday, parking my F-250 along State Highway 108 because the road into Far Field lacked gravel or cliche for pavement. The temperature was 44 degrees F., wind calm, and sky cloudy. Crows inevitably cawed, killdeers pipped, and some type of finch perched and chirped in the pecan tree above me. I had intended to cut down a tree that was blocking the gate, but the low temperature and wetness forced me back into the pickup, my axe never unloaded from the cabin. I retired from teaching college in June of this year, having either been in college or teaching for fifty-five years. Shortly after retirement, I sold the front part of the farm, including the house, barns, stables and arena, keeping the Far Field of 29.151 acres. Moving into Fort Worth, some sixty miles to the east, I took an apartment that is adjacent to the Trinity River. Since in the apartment, I have seen owls, falcons, hawks, Sandhill Cranes, and numerous species of waterfowl that fly along the river, turning as a flock at the bends of the river. Wild turkeys inhabit a ranch across the river from where I live and I have seen a seven-member troop of them walk up into the homes and yards when it rained heavily last week. My Far Field qualified for agricultural use. It consists of native grasses and various inserts of Johnson grass and other “invasive” species. The field is still wet today and will remain so for a couple of weeks. To what use shall I put the field? Cattle grazing, crops for wildlife? I am not sure, but the decision “to do” something with the soil has raised some philosophical questions about my behavior towards the land. For now, the field is wet, the crows and hawks perch on the only tree in the field. Nestled in the field grasses and burrowing into the earth are skunks and voles. So, leaving it alone for now is practical and respectful. A new “culture of nature” is changing the way we live – and could change our politics, too. 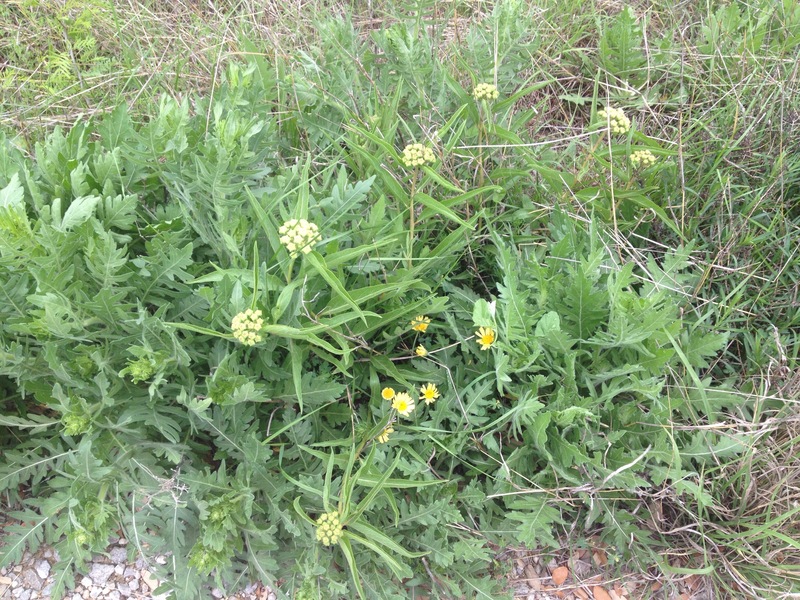 I have located three milkweed clusters since 2003 on my place–central Texas, Erath County. Today I sought the three clusters again, one directly in front of the house, one alongside the road to the barn, and the cluster in the far field, one-quarter of a mile away. 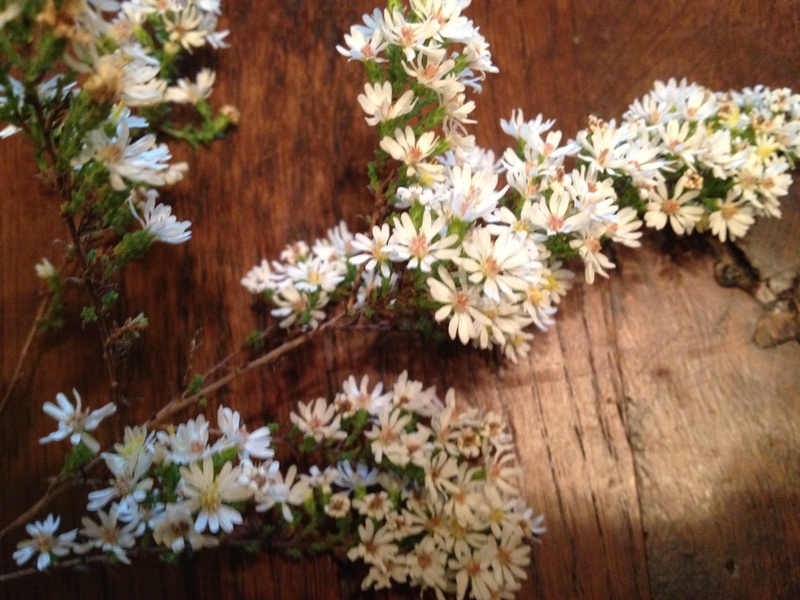 I found only the cluster photographed above–the cluster beside the road to the barn. 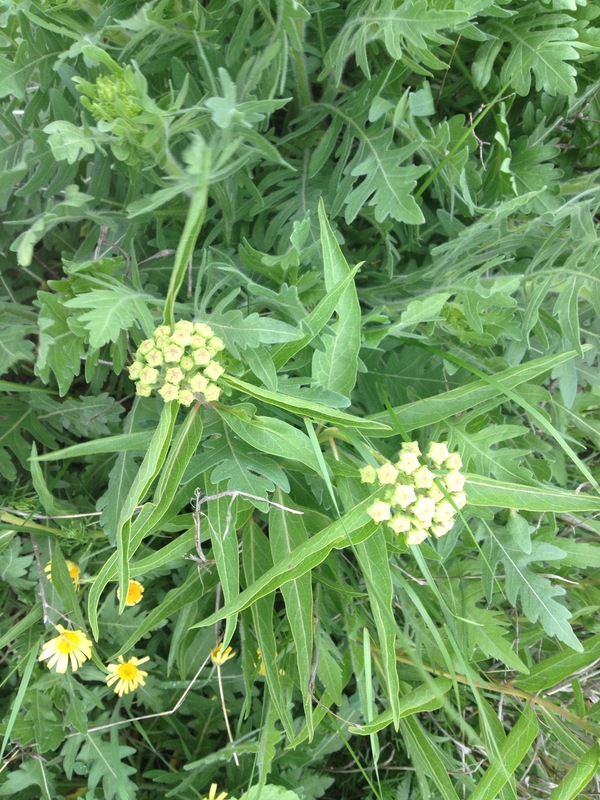 I found no milkweed in the far field nor in the front yard. I believe that this spring has been mild so far and some heat is needed to bring out other patches of milkweed. Today, as I walked the fields, I discovered a large Monarch in the grove that soared out of the grass and into the sky above the trees. A huge Monarch, one the largest I have ever seen. Then as I finished my field trip, in the front yard, a Monarch flitted above the cut-leaf daisy and lawn grass. Two Monarchs, one patch of milkweed that has ten clusters of blossoms (you can only see seven in the above photograph)–definitely an event to be recorded for 2015. I will continue to monitor the milkweed and Monarchs, posting the field trips I take to far and near fields on my place. A mid-morning rain fell on the place. The air is cool, almost cold, and the sky has not cleared and probably will not this day. 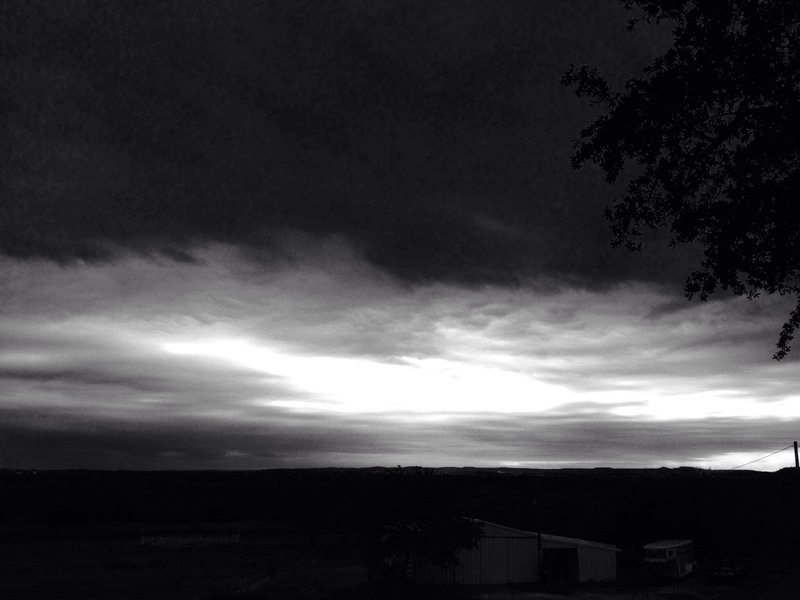 This photograph shows a break in the clouds towards the south, the town of Stephenville, lying about nineteen miles away. My mother came to Stephenville–I tagged along–and bought plants at Wolfe Nursery. The nursery had a large sign of a wolf that signaled the entry to the nursery that encompassed acres and acres of tended trees and several hothouses. 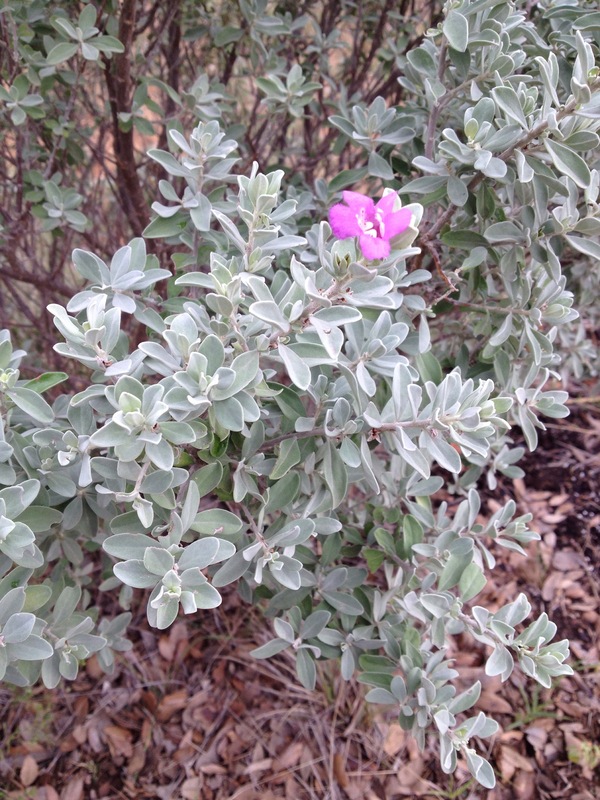 The rain caused an eruption of this blossom upon the sage near the house. Fall has come to the place, the farm, the ranchito, the people of Sims Valley, and all the wildlife abounding. Monarch Migration Plunges to Lowest Level in Decades – NYTimes.com. Here on my ranchito I have seen no monarchs this year. It is a little early for their migration through central Texas (at least here in north Erath County, Texas), and I will hold off making any conclusive statements about their pattern for several more weeks. I have only a few sprouts of milkweed on my 53 acres. I know precisely where the milkweed is and seek to keep it flourishing for the butterflies.